Monsoons paint this part of hilly Malwa region with bright emerald greens that is interspersed with dozen small lakes, ponds and little brooks gushing down the ravine and Mandu becomes the most beautiful spot of Malwa. The pleasing to the eye and invigorating for the senses scenery, earned for the city enclosed within the fort walls, the epithet of ‘Shadiabad’…the ‘city of joy’ from its erstwhile Muslim rulers. But this city of joy is much known for a tragic end of a love story. I, could plan a visit only in peak summers to this fort city, ruins of which are spread over a hill of approximately 45km perimeter. The small shops and hutments that had mushroomed along the dry landscape with trees devoid of leaves were left behind as one of the three stone gateways loomed ahead. A tarred road through Alamgir Darwaza, the Kamani Darwaza and Gadi Darwaza deposited us at one of many complexes of various monuments. A beehive of more shops, selling neembu-pani(lemonade), chips and wafers, fresh cut fruits, water bottles, soft drinks and pohe(spiced flattened rice), the staple breakfast of people, buzzed with swarms of nearby villagers and local tourists. And a lone guide, flaunting his ‘tourism-department-verified-guide-identity-card’ promptly joined us as soon as we emerged out of our taxi. Under the rule of Parmar rulers till 1305, Mandu was originally ‘Mandap Durga‘ with a small fort and few temples. The last ruler was however no match to the army dispatched by Allaudin Khilji under his trusted general’s command. The Hindu kingdom fell to Delhi Sultanate and came to be looked after by Muslim governors. The governor appointed by Tughlaq Dynasty, however, declared independence from Delhi and assumed royal titles. It is during the times of these self appointed rulers and their descendants that Mandu was fortified and most of the buildings added. The last ruler of Mandu was Baz Bahadur, before it was seized by Mughals. Rupamati, a shepherdess caught Baz Bahadur’s attention with her sonorous voice. Soon enough the two fell in love and married. It was for facilitating Rupamati’s desire to worship River Narmada first thing every morning that the Rupmati pavilions are credited for. A visit to the pavilion was regular itinerary for Rani Rupmati to have a glimpse of River Narmada that shows as a gleaming silver strip from the terrace of the pavilion. Across the Baz bahadur Palace is ‘Reva-Kund’, a water tank that is fed by River Narmada’s water from an underground natural fissure. Baz Bahadur widened and rebuilt this tank for his queen. The water tank holds spiritual significance much like the revered Narmada river. An aqueduct led from this water tank to Baz Bahadur’s palace. The few high arches of the aqueduct that still survive are a testimony of engineering skill of those times. Baz bahadur and Rupmati led a blissful life in music and poetry. Baz Bahadur however failed to maintain a strong defensive force. After being defeated by a strong Mughal army, Baz Bahadur escaped the battle field taking shelter in nearby small kingdoms. The Queen Rupmati, to prevent her honor from being sullied by the general of Mughal army, killed herself instead of letting herself be captured. Thus ended the beautiful love saga between two compassionate human beings who though of different religion and social status had defied all norms of the then society to love and marry. 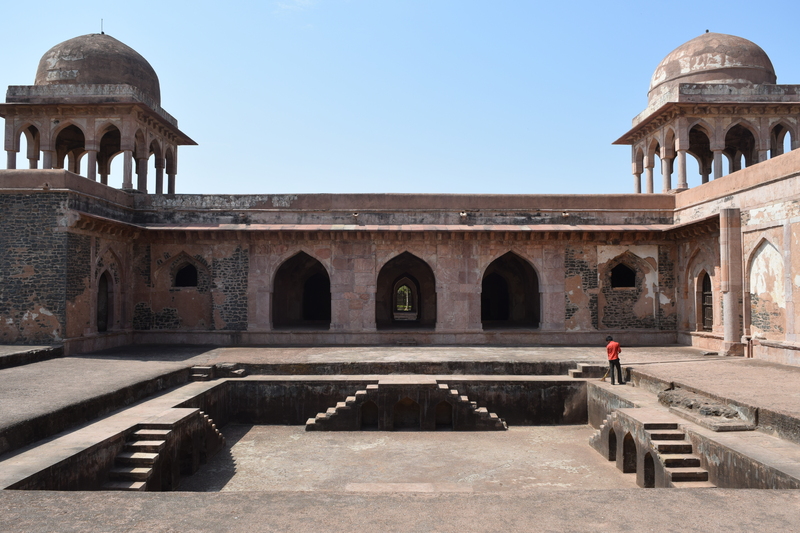 Mandu has a checkered history, but it is the tragic love story of Baz Bahadur and his consort Rani Rupmati that still lives on in folk-lores and songs of Malwa region. 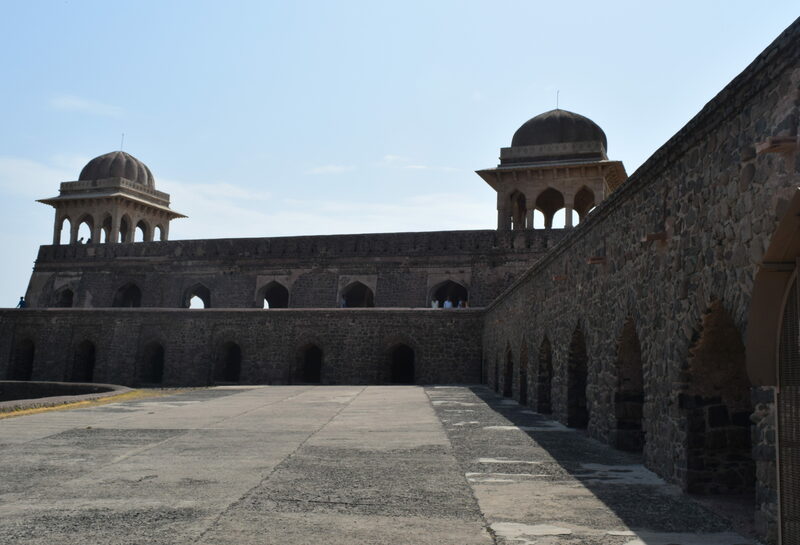 Also read more on Ruins of Mandu. Such a beautiful place !!!! this type of posts become more attractive when it contains history, it was really an amazing read/. Thanks a lot for sharing. Thank you Jyotirmay. Monsoons are best time to visit Mandu. 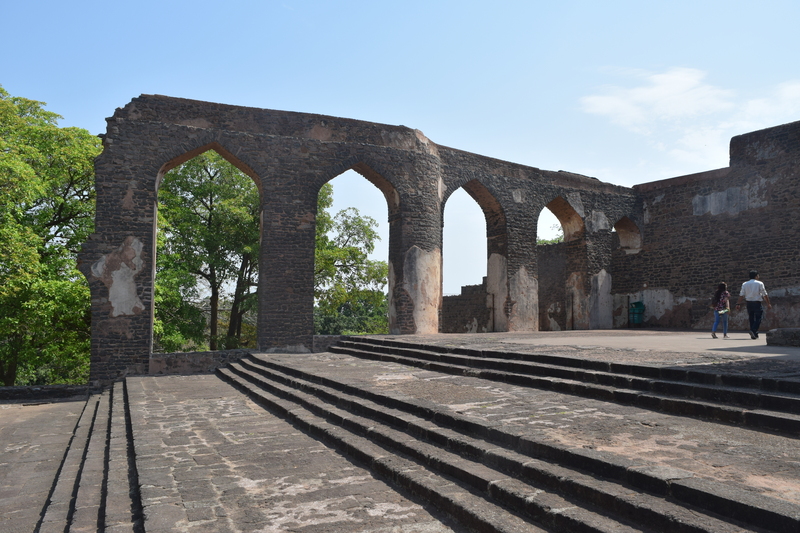 More about the ruins of Mandu in next post. Architectural designs are marvelous. Lavish,splendour and impressiveness, especially in appearance and style.